As fashion designers and high street retailer’s alike look towards Spring, one of the leading trends proving to be extremely prevalent for SS13 is the return of the Nautically inspired look. This is a trend which has lasted the ages, disappearing and reappearing every few seasons, but it is one which has truly stood the test of time. 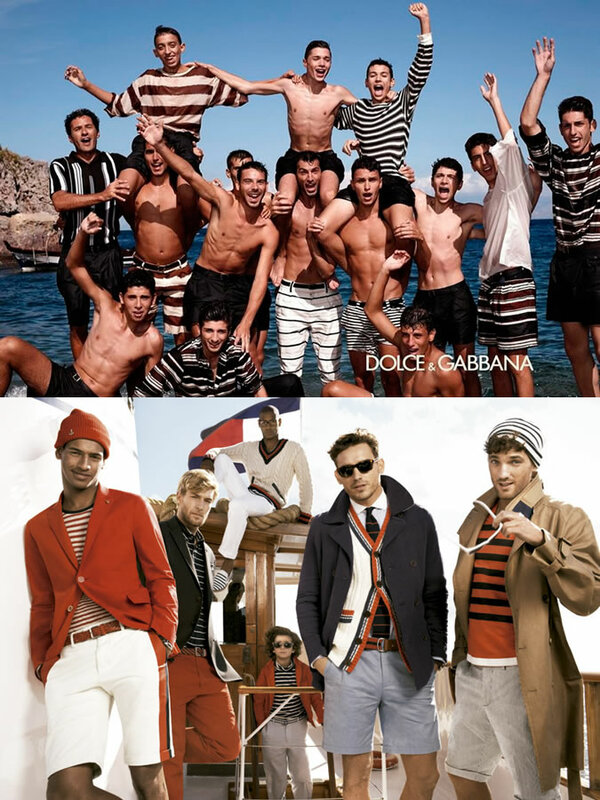 With Dolce & Gabbana (below) taking the theme to the extreme with their latest campaign, Tommy Hilfiger’s SS13 (below) campaign similarly takes an interest, with an entire family portrayed in the current trending pattern, with Breton stripes integrated onto polo shirts, knitwear and shorts. How to work this for you: This trend is fantastic in its versatility, as it can be incorporated into any item of clothing, and suits one and all. For a casual foray into the nautical, embrace stripes and thick knits in grey’s and navy’s. Combine this with a light tan pant to achieve a classic look which will never fall out of favor. 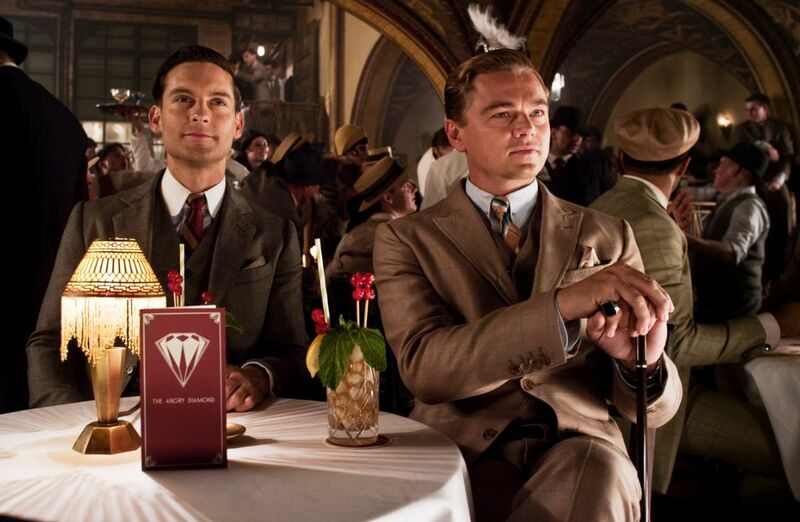 With Gatsby fever sweeping the nation, men everywhere are taking note of their 1920’s predecessors and suiting up! Most noticeably, key players in the fashion industry are playing off this current enthusiasm by resurrecting the dinner jacket. Historically, the suit was considered as everyday menswear, but in the last twenty or so years, this idea fell into disregard. 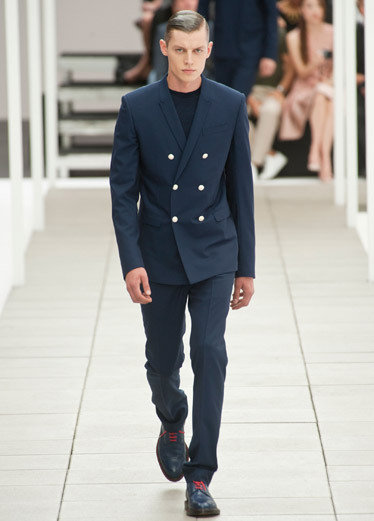 Ever since the blazer and dinner jacket have been generally only reserved for formal occasions. 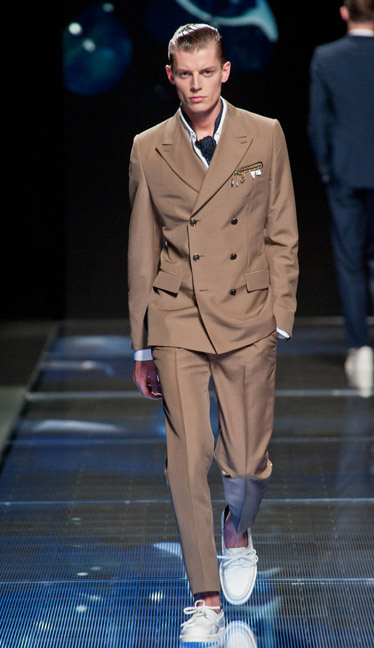 That is, until the 2013ss collections of main players, Dior, Louis Vuitton and Hermes took to center stage. Utilizing a multitude of colors, patterns and styles (three button down to the classic one button) buyers have flooded their stores with blazers, dinner jackets and sports coats. Teaming them with jeans, cargo pants and classical dress pants, they have created a range of styles to suit any taste and frame. To incorporate this look yourself, don’t be shy to throw a sports coat over jeans and a tee shirt to class up any outfit. Just this simple addition to any wardrobe will greatly extend your closets life, giving you endless options. For a casual weekend look, why not throw a sports coat over jeans and a polo. This outfit will take you from lunch with friends, to dinner and drinks anywhere, without the need to change or feel distinctly under-dressed. Remember: A suit should always remain buttoned until one sits, when it usually becomes necessary to unfasten the jacket. Once one stands again, the jacket should be refastened. Of course there are always exceptions to every rule!